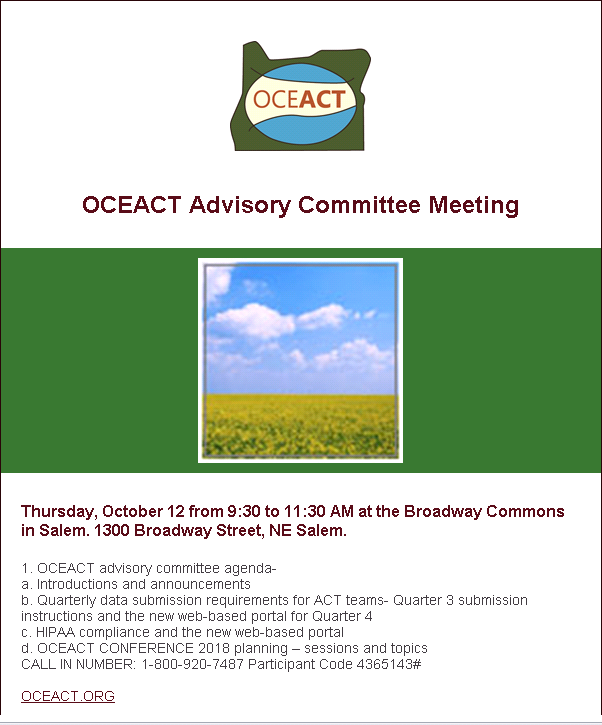 The OCEACT Advisory Committee meets quarterly and represents a wide variety of stakeholders in the community including: representatives from the Oregon Health Authority, past or current recipients of mental health services, leadership representatives from agencies delivering ACT services, the Oregon State Hospital, Supported Employment providers and representatives from consumer and family advocacy organizations. 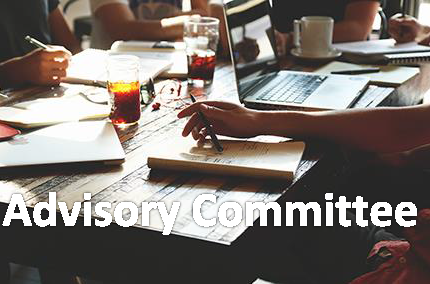 The purpose of the OCEACT Advisory Committee is to provide a forum to share the successes of ACT programs and share ideas to improve the health outcomes of individuals served by ACT programs. OCEACT Advisory Committee members provide expert input on how to solve systems level issues, suggest topics for the annual OCEACT conference, and provide direction for initiatives affecting mental health service delivery. OCEACT staff provide a report of ACT participant outcomes to stakeholders each quarter. It is also possible to participate in meetings via telephone. Please contact Heidi Herinckx for details. Documents from previous meetings can be downloaded below.